A busy day for the Toronto Raptors organization culminated with a win in Atlanta. Kawhi Leonard sat out as he was dealing with a sore left knee, meaning the Raptors only had four substitutes because of the events that transpired earlier in the day. Fred VanVleet and Pascal Siakam had new career-highs in points. 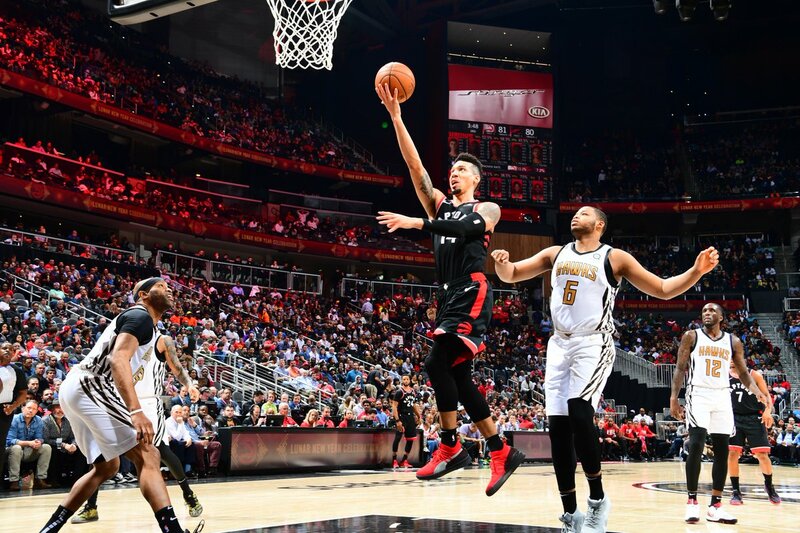 VanVleet scored 30 points and had six assists, while Siakam recorded a double-double with 33 points and 14 rebounds. Kyle Lowry also had a double-double as he scored 13 points and dished 13 assists. Danny Green and Serge Ibaka scored 12 each. The four substitutes that Toronto had played substantial minutes including OG Anunoby who played 26 minutes and scores six points, and Norman Powell who played 21 minutes and scored 11 points. Atlanta native and two-way player Jordan Loyd also saw some action. Contrasted to Toronto, the Hawks played all of their substitutes, which they had eight of. Trae Young and Taurean Prince scored 19 points apiece. Prince went 5-8 from three. John Collins recorded a double-double as he scored 12 points and grabbed 11 boards. Dewayne Dedmon scored 10 points, and former Raptor Vince Carter scored nine. Siakam went 2-5 from three-point range, and play flowed through him for most of the game. Fred VanVleet notched his career-high with a play that he does often, drive low to the basket to lay it in. Keep betting on yourself, @FredVanVleet! Kyle Lowry was not fazed during the game, and had fun when on the bench. The Raptors conclude their road trip on Saturday night when they play the New York Knicks at Madison Square Garden. Previous PostWhy should students care about the IGNITE elections?